Go ahead and indulge. I did. In fact, I even ate dessert for breakfast. In this article, I share my favorite GF low carb dessert recipes with you and explain how I lost 25 pounds. I was a deprived child. Daddy was a health nut, so for the first few years of my life I had absolutely no sweets whatsoever. Nada. Zilch. Not even birthday cake. Eventually concerned aunts, uncles, family friends, and strangers off the street finally took pity on me and fed me something sweet. That one bite started a lifelong affair, but it's been a bittersweet relationship. What was good for my taste buds wasn't always good for my waistline. 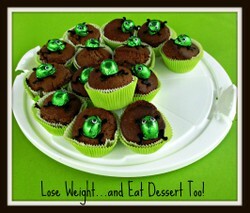 Finally, after gaining 25 pounds, I learned how I could eat dessert everyday, even for breakfast, and not gain a pound. In fact, I ate this way when I was losing weight. Sound impossible? Read on to find out exactly how I did it. I was overweight, but how could I lose without starving? Me and sweets (especially chocolate) have had a long and enjoyable life together. I ate some form of dessert everyday until I hit age 35. I hadn't realized just how much weight I had gained. It sounds weird, but I didn't think my body had changed at all. I was still skinny in my head until I went shopping for a new dress. I had always worn a size 8 in my adult years. Let's just say that wasn't the number I was seeing that day in the mall. I kept trying on larger and larger sizes until I realized even a 14 was too small. I choked back tears as I left the changing room. I refused to buy a size that big and vowed I'd lose weight. I tried the traditional way by cutting calories and exercising, but an annoying thing happened. I ran out of calories before I ran out of day and I was starving by 6:00 p.m. I remember sitting on the couch one evening thinking, "God didn't make us to be fat, and he sure enough didn't want us to be hungry either," so I knew there had to be a better way to lose weight. I scoured the internet for alternative weight loss plans, and finally found one that captured my interest. The low carb way of eating, ie. Wheat Belly, Atkins, and the like, meant no calorie counting, eating until I was full, and *gasp* I even got to eat dessert. Hey, now that's my kind of diet! I turned from my carb-laden ways and became a believer in this new way of eating. I first learned about this new way of eating from Maria Emmerich's blog. Maria's a nutrition expert, and she explained how the unhealthy foods I was eating were impacting my body. To lose weight, I thought I'd have to say goodbye to my beloved sweets, not to mention comfort foods like pizza and cinnamon rolls. Thankfully, Maria doesn't think diet equals deprived. I tried oodles of her makeover recipes on her blog. They were so great, I bought several of her cookbooks. I found them all chock full of yummy recipes, many of which were healthy versions of junk food I loved in my old life. I became so devoted, I started sounding like the Jehovah's Witnesses that knock on your door. Instead of extolling the wonders of God's word, I was praising this new world of healthy food I had discovered. 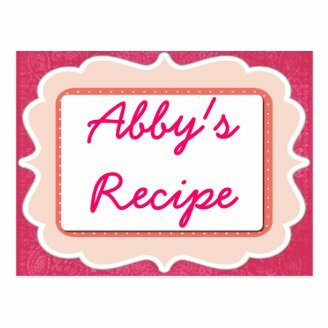 Healthified GF recipes include Little Debbies, Ho-Ho's, canolis, oh, my! 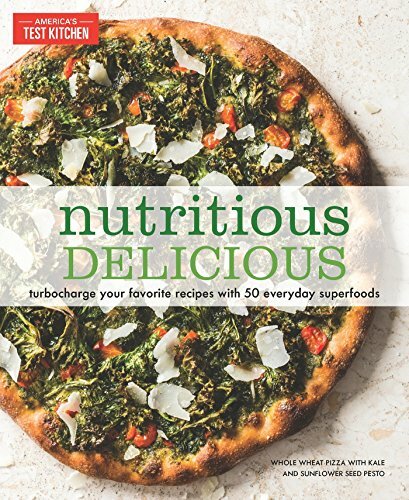 From her cookbook, "Nutritious and Delicious." P.S. 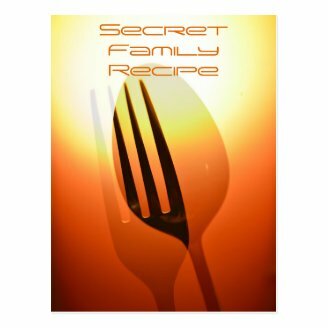 Her recipe for Twinkies are in this book, too! Mix together your butter, sweetener, vanilla, and egg. Thoroughly combine almond flour, baking powder, and whey powder. Mix wet and dry ingredients together. Drop by teaspoonfuls on a greased cookie sheet and bake for 9 minutes. Remove and let cool on a rack. Each cookies contains .3 carbs. I've been in search of a healthy replacement for chocolate chip cookies for a while. This recipe is fantastic, and nearly tops my favorite low carb, gluten free chewy chocolate chip cookie recipe. The butter makes this batter extremely soft. If it's warm in the kitchen, I suggest refrigerating the batter just to firm it up a bit before putting it in the oven. If you're feeling nutty, add 1/4 cup chopped nuts. There's a lot that can go awry in a substitute teacher's day, but much of it is preventable. Sometimes it comes down to having enough glue and sharpened pencils. But only if it's gluten free. I discovered Dr. Davis about the same time I discovered Maria, and I was just as intrigued. 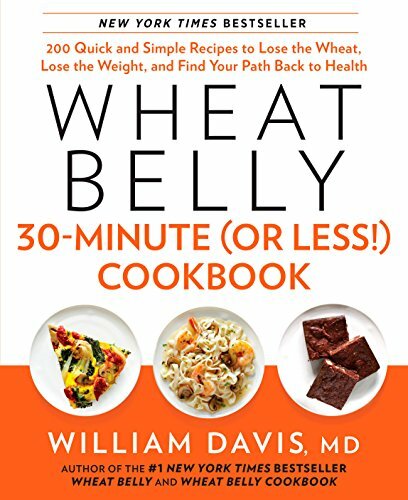 Just the title of his book, "Wheat Belly," was enough to get me excited about watching my pouch melt away. His book kind of freaked my out, really. Who knew that today's wheat is so genetically modified, that it nowhere near resembles itself from even 50 years ago? I went on a no-wheat binge, and nobody within 10 feet of me escaped my condemnation of wheat. My son and mother went wheatless whether they liked it or not. Even the dog switched over to a grainless dog food. My friends weren't safe either. I was so passionate about my wheat reformation, that any ailment they complained of, I was convinced it was because of wheat. Needless to say, I went through a dry spell when it came to dinners with friends. I'm not out proselytizing being wheatless like I once was, but the dog and myself have stayed gluten free and we're loving it. Taken from Dr. Davis' Wheat Belly Cookbook. Preheat oven to 350 F. Grease or line a 12 muffin pan. In a large bowl, microwave the chocolate and butter on high, removing every 30 seconds to stir. Continue until chocolate is completely melted. Stir in sweetener and espresso powder. Add eggs and vanilla. Stir well. Pour batter evenly into muffin cups. Bake for 20 minutes, or until firm. Place muffins on rack until completely cool. The holidays aren't complete without pumpkin pie. But what about those with food allergies? This gluten free, dairy free, sugar free version will please everyone at your table. Looking for a gluten free, dairy free, sugar free alternative to traditional barks and brittles? These little nutty pieces of heaven will become your favorite holiday candy recipe. Now you can have your cake and be low carb, too! Gluten free baking is easy with this easy-to-use cookbook. What is the modern dessert lover to do when traditional baking is unhealthy? Yep, I like flying free...without a recipe that is. After I'd had a few months of making healthy desserts under my belt, I decided to throw caution to the wind and make my own creation. Who knew? 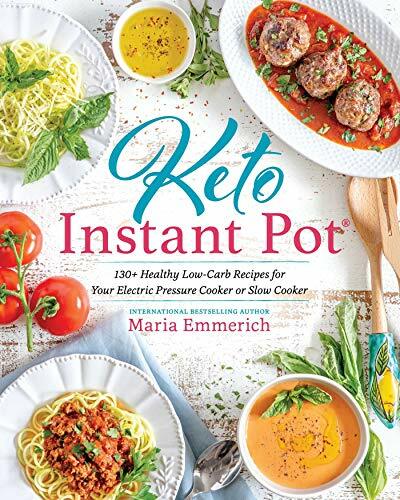 Maybe I'd become the next Maria Emmerich or Elana Amsterdam, whipping out tasty creation after creation and publish my own cookbook. Or maybe it would just taste like junk. Which it did. At first. Eventually I did get the hang of having the right proportion of ingredients in a recipe and my muffin/cupcakes were born. I'm not bragging, but they're pretty tasty. I've taken it to several potlucks, and no one's been the wiser. Since mastering my muffin recipe, I've gone on to create an awesome chocolate chip cookie recipe and a cheesecake fluff that is absolutely heavenly. It's a muffin, but add some coconut oil frosting and they'd make perfect cupcakes. Preheat oven to 325 degrees F and line the muffin tin. Mix the flours, baking soda and powder, cocoa and salt in a large bowl. Add the eggs, vanilla, coconut oil and coconut milk until combined. Mix in chocolate chips and nuts, if using. *To keep the oil from turning solid, make sure all ingredients are room temperature. Evenly fill the muffin tin and bake for 30 minutes, or until a toothpick comes out clean. Vanilla Muffins. Omit cocoa and chocolate chips and use 2 tbsp of coconut flour. Banana Muffins. Add one mashed banana and decrease coconut milk to 1/2 cup. Take it one step at a time, and you'll have a sweet delight. Tweaking and creating grain-free recipes can be tricky, but here's a few tips to get you started on your way to becoming a great gluten free baker. Just remember me if you make it big and become the next low carb megastar. Start by taking an existing recipe and add or omit ingredients to your liking. This step helps keep you from having gloop that gets thrown in the trash. By adding more sweetener or adding a shredded fruit or vegetable to a recipe, you can adjust the flavor and texture without changing the backbone of the recipe, which is flour and leavening agents. Bake often. 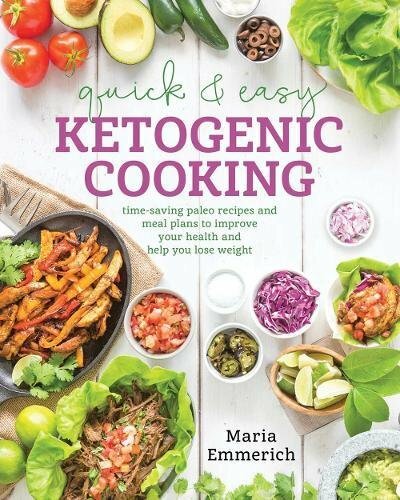 The more you work with low-carb recipes, the more you get to know how a recipe is put together. Generally, the backbone ingredients don't change much, it's the proportions that change. Once you learn, say, the ratio of leavening to flour, it's easy to create your own recipes. Don't be afraid to go out on a limb. Hey, sometime's you've got to go with your gut. If you're curious as to how something would taste, go for it. Some of the best dishes in culinary history have been an accident. Be smart and write it down. In the beginning, I made the worst mistake by not writing down how much of each ingredient I put in a recipe. The result? I'd have an awesome dessert, only to never be able to duplicate it because I forgot what I put in it. Thankfully, dessert can be a part of a healthy eating lifestyle. When I was overweight, I thought I had to eat minimal amounts of food to reach my goal. I never dreamed that I'd be able to eat dessert while being on a diet. Weight loss comes with eating healthy foods like proteins, vegetables, nuts, and lots of good fats. Dessert can fit in there, too, when it's made the low carb way. My loss of weight didn't happen when I decided to go on a diet, it happened when I decided to begin a new way of eating. Focusing on eating healthy low carb foods, which thankfully included dessert, was my key to returning to my normal weight. So the next time you see your hungry dieter friend munching on carrot sticks and water, just whip out your chocolate chip cookie, smile, and take a big bite. Today I enjoyed a dessert of yoghurt,and home grown rhubarb, ideal for my waistline. I still have some way to go to my target for the end of the year. I want to lose to lose seven pounds by December 31st. I started eating gluten-free a month ago, and have already lost 6.5 pounds. Did you go starch-free as well? 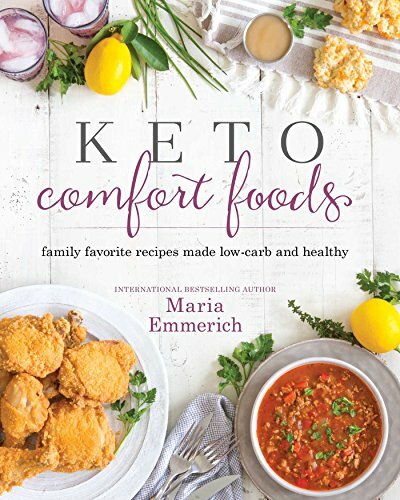 I'm reading books about insulin resistance and starch is a major culprit in that. For the last six months, I've been wondering why I look like I'm pregnant all the time at the age of 68.Now I know why. I've been a carb addict all my life. I'm so glad you're doing so well! Please keep me posted with your updates! Confusion time: since reading this I have considerably reduced my starch (not carbon per se) intake and ooh la la... If is becoming easier to have my appetite and still lose weight. Yes I do still do the 5 2 but I am a little tinker so do not always obey the rules... I think Abbey Fitz may have - quite literally - saved my life. I wish that food growers would just stick to the original genetic composition of stuff we are supposed to feed our bodies. All this manipulation of our food has made us unhealthy and fat. Thanks for this article.